It's official, you're coming to Summer Camp Island! Created by Julia Pott, the show follows best friends Oscar and Hedgehog at an incredible, magical sleepaway camp where things aren't quite what they seem to be. For the first time ever, the series will take over Cartoon Network and Boomerang with all 20 episodes debuting back-to-back. Beginning Saturday, July 7 at 6 a.m. (ET/PT) through Sunday, July 8, all episodes will go into rotation for 48 hours in this can't-miss double network takeover event. And while you watch the event, you can bring the magic into your own home with the new Summer Camp Island AR app. Use the Camp Guide to explore the island, play with the campers, or make your own surroundings come to life and talk. 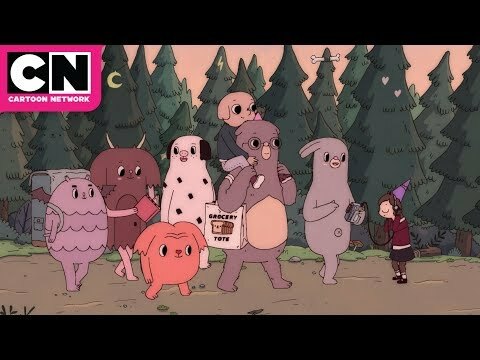 Summer Camp Island Season 1 was released on Cartoon 289d ago in the US. Notify me when Summer Camp Island Season 1 is available.